I've been going to Danielle for hair and makeup since high school, so naturally I knew she had to be a part of my big day. She did the hair and makeup for myself and my five bridesmaids for my wedding in Durham, Ca. I can't say enough wonderful things about her. She was punctual, quick to respond, professional, kind and paid attention to every detail. I gave her an idea of the look i was going for (the day after I was engaged), and sixteen months later it turned out even better than I could have imagined. Plus she knew the exact color and length that I wanted, which helped leading up to the wedding - perfecting the color and length (thanks to her extensions!). On the big day it was comforting having Danielle there in the morning, she was calm and made me feel like a princess. I knew I was in good hands. I received so many compliments on my hair and makeup from guests. Danielle made sure it was exactly what I wanted and appreciated feedback. She was an absolute pleasure to work with, incredibly skillful and has a creative eye. Danielle is awesome! After being disappointed by several hair and makeup trials for my wedding, a friend of mine recommended Danielle. I knew instantly that she was the perfect person for the job. During the trial she made me feel very comfortable and listened to all my requests. 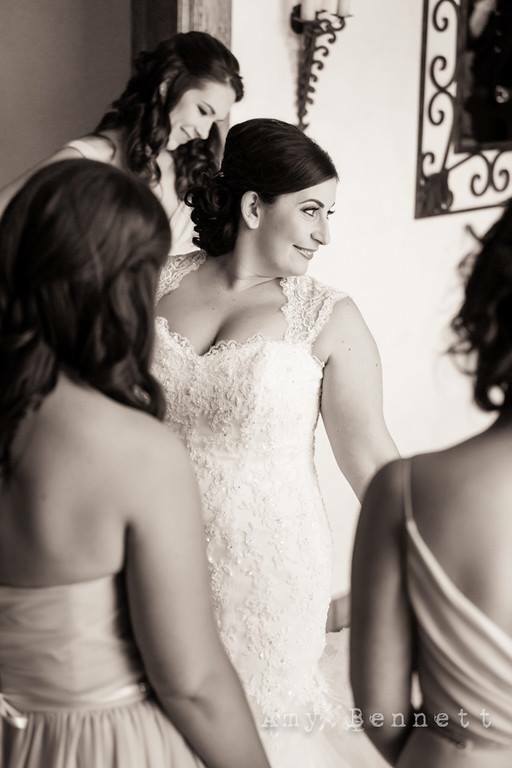 On my wedding day, Danielle made me look gorgeous without making me look like a totally different person. I HIGHLY recommend the airbrush. The pictures look amazing, the makeup lasted all night and my eyes really stood out. 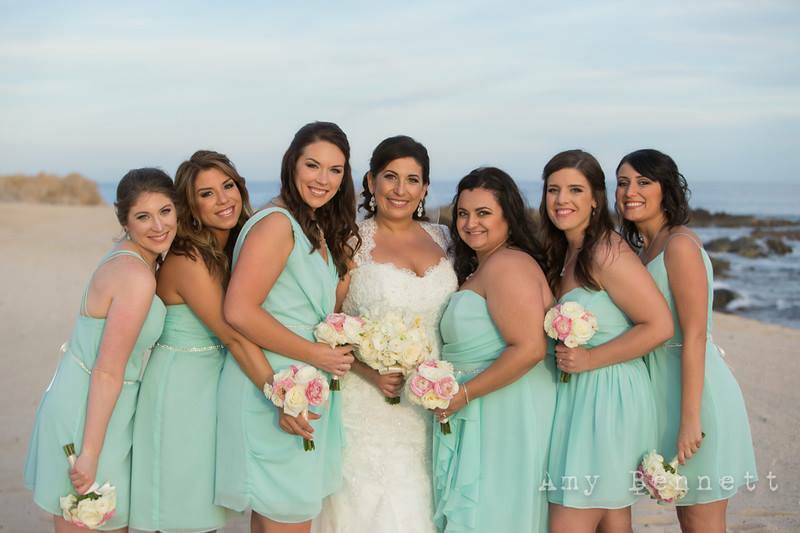 Also, most of my bridesmaids got their hair and makeup done by Danielle. 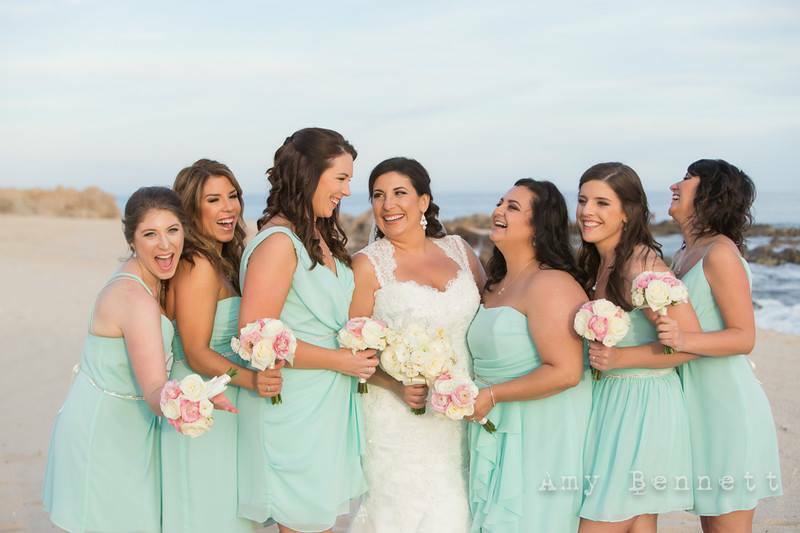 It's not always easy pleasing the bridal party, but they all loved their hair and makeup. Overall, Danielle was very professional and made sure we were all ready in time for pictures. She is friendly and very accommodating and I highly recommend her. There are so many details in planning a wedding. And in my opinion, deciding your hair and makeup has got to be the most enjoyable of them all. Danielle is a magician. 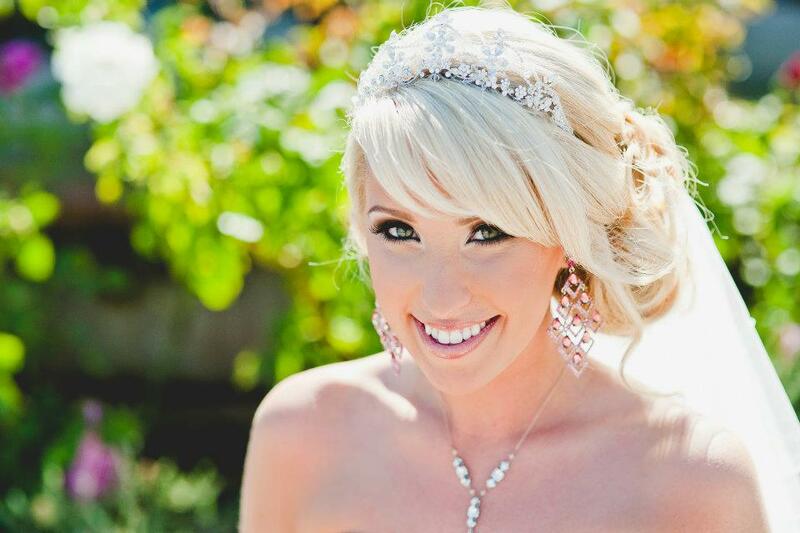 From my color and extensions, to my makeup, Danielle brought to life everything I had imagined for my wedding day. She is professional and such a down to earth, talented stylist. I still continue to receive so may compliments on my hair and makeup from that day and I have Danielle to thank! Thank you again so much, Danielle! When I was a little girl, I would dream of how I would look on my wedding day and wonder if my expectations would ever be met. Well, on August 17th, 2013 my expectations were not only met, but they were exceeded beyond my imagination…I felt more beautiful than ever. Danielle worked her magic on me not only on the day of my wedding, but for months prior. She started by coloring my hair, returning me from a beautiful, brunette ombre, back to my naturally blonde roots. She also did incredible job perfectly placing and blending my extensions. She added length and volume, while still making it look all natural. On my wedding day, I decided that I was not going to look in the mirror until Danielle was completely finished. I was so excited to see myself for the first time, as a bride. The feeling that exuded through me when I saw myself for the first time was pure joy. For a moment, I felt as though I was my 12-year-old self, daydreaming again. Danielle made me feel stunning! I just couldn't wait for my husband to see his future wife. 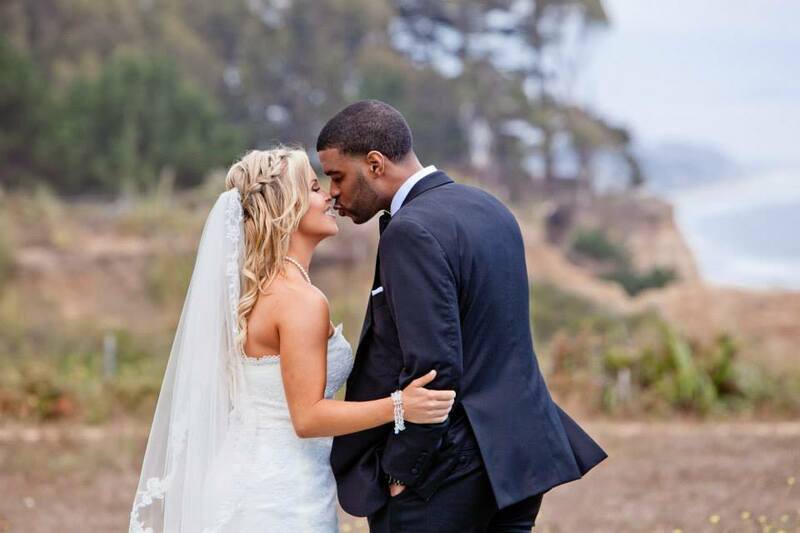 One of the best wedding decisions I made, was hiring Danielle to be my hair and make up artist! Danielle is quick but wonderful! 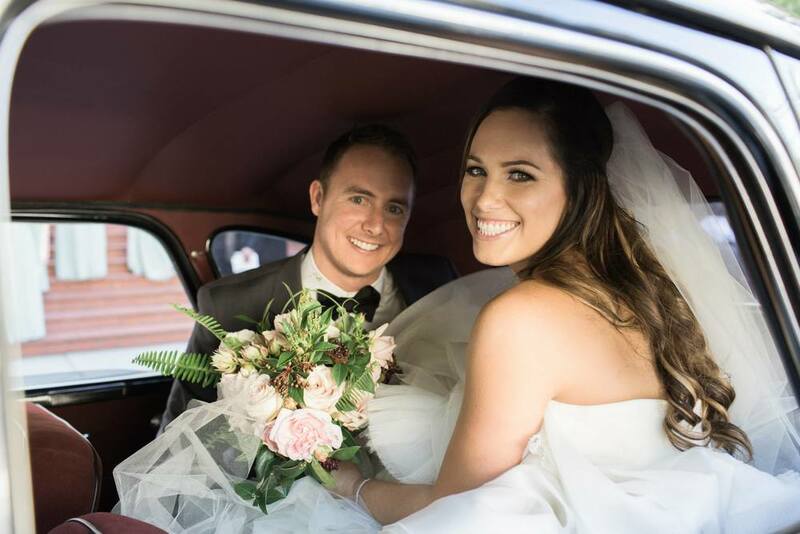 As a wedding planner myself, I know that being ahead of schedule does not often happen with on the big day, but Danielle won't let you down! 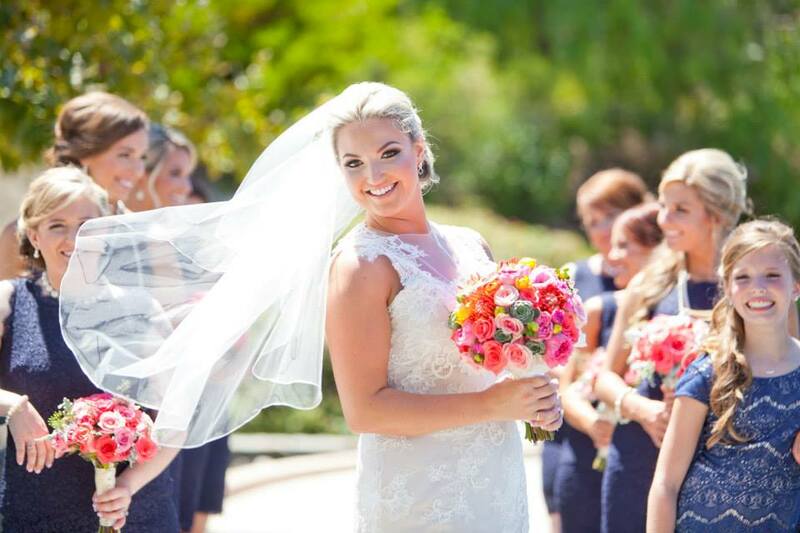 I would recommend Danielle for your wedding or any time you want to feel totally beautiful! Every bride dreams that on the day of her wedding she will look like the best version of herself. Beautiful, timeless, and glowing. Thanks to my stylist and now friend of many years, Danielle Dentoni, I looked better than I could have ever imagined. I struggle with fine/thinning hair and on the big day I wanted a pulled back/updo with fullness, volume and elegance. 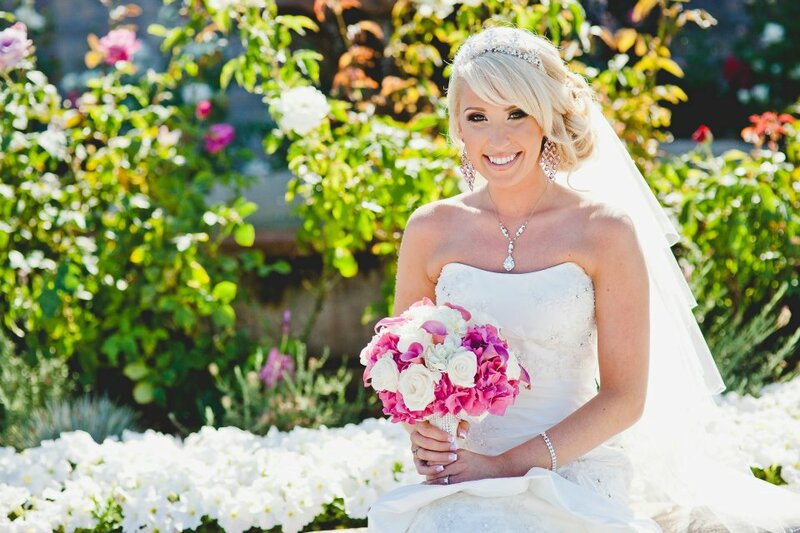 Danielle's skilled techniques and knowledge of extensions allowed her to deliver a truly beautiful result. She is exceptional with color as I have never had a bad color by her and she has been doing my extensions for over 10 years. She is vey knowledgeable on the latest trends and styles as well as promotes healthy hair practices and products. Aside from hair, Danielle's ability to enhance one's look through makeup is truly attributed to her artistic skills and unparalleled by most. She is amazing at matching skin tones and choosing the perfect colors. 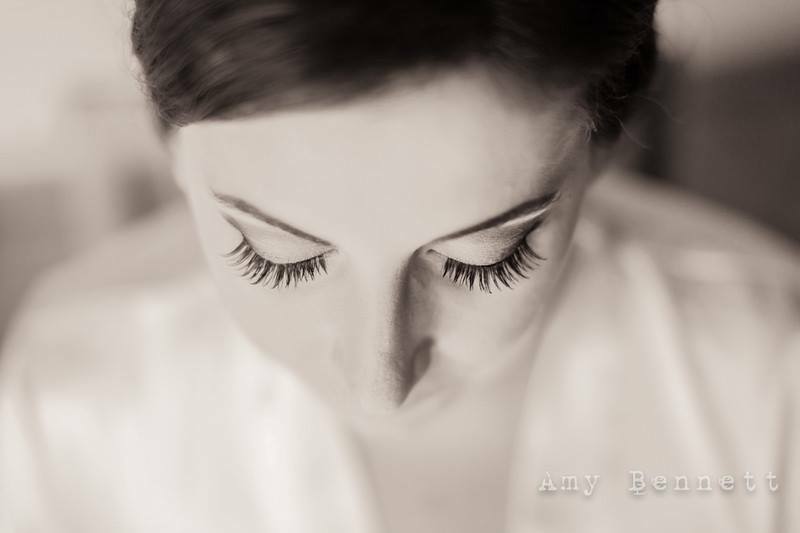 On my wedding in particular, my makeup had a natural yet elegant and glowing finish. She is the type of stylist you can trust. Where you can just sit in her chair, and know that without saying a word, you will walk away feeling beautiful. My wedding day will forever be a testament to Danielle's wonderful work and i would recommend her to anyone! Danielle did my wedding on August 13, 2011. She not only was my maid of honor, but my hairstylist and makeup artist as well. She did my color and extensions beforehand. My bridesmaids had their makeup done by Danielle as well. She made me feel the most beautiful I've ever felt and my bridesmaids were the most glamorous bridesmaids many had ever seen. I felt so flawless, like a princess from a fairytale wedding. Although she was in my wedding party, that never stopped her from being professional and on time. 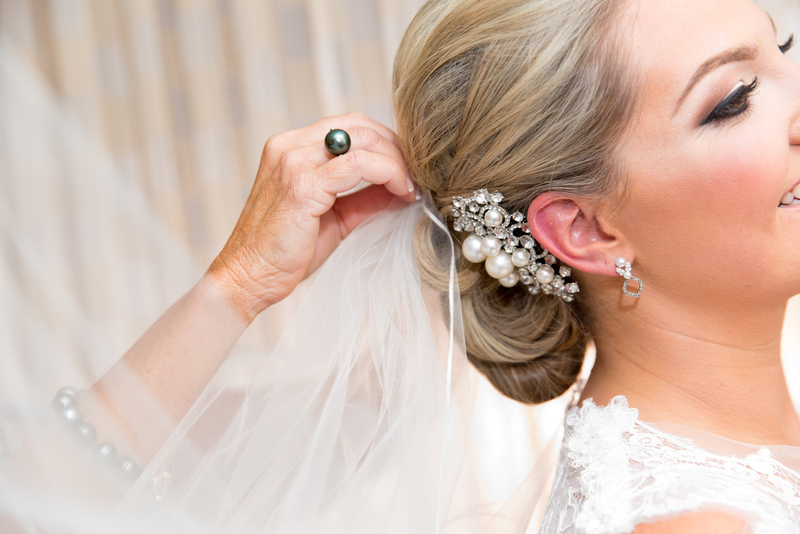 As a hairstylist myself, I have assisted Danielle with many weddings. 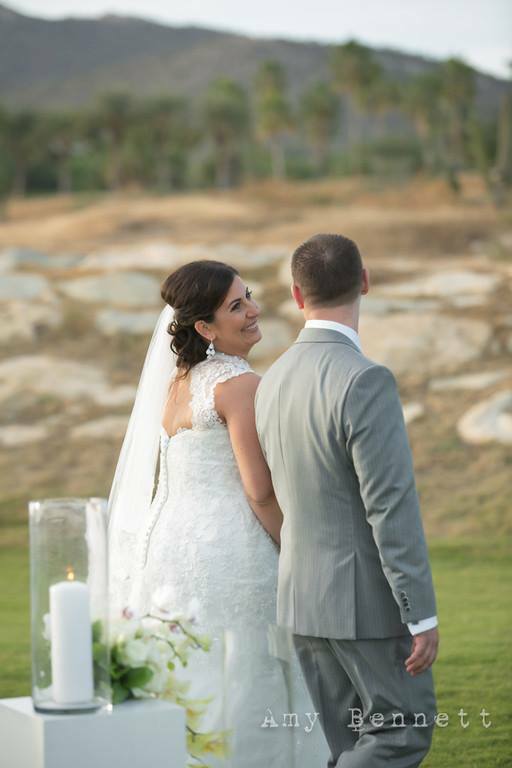 She was just as professional with me as she is with all her brides... absolute perfection! Through out my wedding night, Danielle kept touching me up to make sure I always looked my best. Even after crying and cake smashing, I always remained glamourous. By the end of the night, we all still looked just like it we did when we got ready in the morning! And after my wedding, Danielle went on to do my hair and makeup for my maternity photo shoot. I felt beautiful and flawless even being 8 months pregnant! To this day Danielle does my color and like all her other services, it's pure perfection! Danielle has been cutting my hair for almost a decade, so it's no surprise that when it came time to hire a beauty professional for my wedding day, she was the only girl for the job! I think that Danielle's talent and style really speak for themselves in pictures, but the thing that truly makes her stand out from the rest of the professionals in her field is her personality. She is extremely good at reading people and situations, and is exactly the kind of person you want around on your big day. She sensed I was nervous when she was doing my makeup and got me a glass of champagne, stat, which was exactly what I needed! She is so kind and friendly, but does not have such a big personality that she overpowers the room-- instead, she is so relaxed and lovely that I think she helps everyone feel at ease which is truly a gift during what can be a very stressful day. She is incredibly professional and did beautiful hair and makeup for me, my mother and my sister, all perfectly on schedule. No one felt rushed and no one was left waiting. Her experience and expertise just cannot be matched.